London 27 May 2002: Dr Robert Anderson, Director of the British Museum, and Anne Webber, Co-Chair of the Commission for Looted Art in Europe (ECLA), announced today details of a claim that was submitted to the museum by ECLA on 13 May seeking the return of four drawings in the museum's collection. The claim was researched and presented to the museum on behalf of a family represented by ECLA. The claimants wish to remain anonymous. 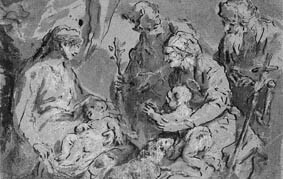 The claim states that the drawings were part of a renowned pre-war collection of Old Master drawings owned by Dr Arthur Feldmann. After the Nazi invasion of Czechoslovakia in 1939, the collector and his family were persecuted and the collection seized. Dr Feldmann and his wife subsequently perished. Since the war, the surviving family has spent many years searching for the collection, which numbered over 750 drawings. 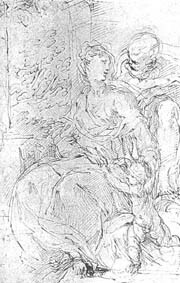 Three of the drawings claimed were purchased on behalf of the British Museum at a sale at Sotheby's, London in October 1946. 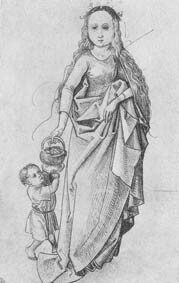 The fourth drawing was received by the Museum in 1949 as part of the Campbell Dodgson bequest. Campbell Dodgson was the Keeper of Prints and Drawings at the British Museum until his retirement in 1932. His personal collection of over 5,000 works on paper was bequeathed to the Museum on his death in 1948. 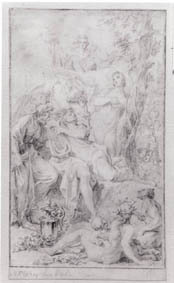 As the result of earlier research by ECLA, all the drawings were added to the British Museum's list of works identified as having gaps in their provenance. The British Museum regrets that incomplete and inaccurate details of the claim were published last week. The museum will be working with ECLA to review the claim and will respond as quickly as possible. A decision has yet to be made as to whether the claim will be referred to the Government's Spoliation Advisory Panel. Dr Anderson said: "We thank the Commission for Looted Art in Europe for the extensive documentation that they have provided. We have every sympathy for the family and we will be giving this matter our urgent attention. Our own research and enquiries will take some weeks, and we will make a further announcement in due course." Anne Webber said: "The return of these four drawings would be of immense personal significance to the family whose lives were so tragically transformed by the Nazis. We look forward to working closely with the British Museum in bringing this case to a satisfactory resolution." In June 1998 the National Museum Directors' Conference established a working group to examine the issues surrounding the spoliation of art during the Holocaust and World War II period. The working group is chaired by Tate's Director, Sir Nicholas Serota. Discussions by the working group resulted in a Statement of Principles and Proposed Actions for member institutions. The statement was finalised and adopted by the NMDC in November 1998 and presented to the Washington Conference on Holocaust Assets in December 1998. In 1999 the UK's National Museums, Galleries and Libraries including the British Museum, National Gallery, National Portrait Gallery, National Galleries of Scotland, Imperial War Museum, Tate Gallery and Victoria and Albert Museum, began a painstaking process of research to identify any suspect works in their collections. Details of the works which have been identified as having gaps or question marks in their provenance during the period 1933-45 are regularly updated and published on the internet on www.nationalmuseums.org.uk/spoliation. An external advisory committee is reviewing progress and providing advice on the actions necessary to fulfil the statement of principles. The committee is chaired by the High Court Judge, Sir David Neuberger and includes the following members: Sir Jack Baer, Lord Brooke, Professor David Cesarani, Mark Fisher MP, Lady Vaizey and Ms Anne Webber. To date the national museums and galleries have only received one claim from a member of the public in connection with works in their collections. This was received by the Tate in July 1999, in relation to the painting, View of Hampton Court Palace by Jan Griffier, in the gallery's collection. The work was the first claim to be considered by the Advisory Panel - under the Chairmanship of retired Lord Justice of Appeal the Rt Hon Sir David Hirst - set up by the Government to help resolve claims of this kind. In January 2001 the Government announced that it had agreed to make an ex-gratia payment of £125,000 to the claimants in compensation for the painting on the advice of the Advisory Panel. Any other claims will be referred to the Panel if appropriate.